Week 26 was the week to recover from my amazing 30K last Sunday. Amazing because I felt great before, during and after the race. It took till Thursday for my legs to feel like doing some real running (haha!) I did put in some training earlier in the week. Thursday morning was cold and thank God I had a long sleeve running shirt on me. My friends and I agreed that it was colder than we thought. Running hills in the cold and wind is better with friends, that’s for sure. I’m blessed to be part of a great running club. You can always find someone to run with you. What a treasure! 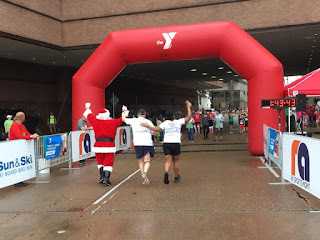 Saturday my husband and I ran the Houston’s 12K of Christmas run. It was my second time running, Zeke’s third. 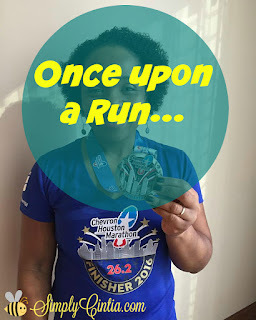 This is the Saturday in my marathon training I usually take off to run this awesome race. It was a warm day in Houston so I knew I wasn’t going to blaze the course. I was also blessed to run this race with my friend Todd from Breton Travels. This was Todd’s first race post cancer treatment. 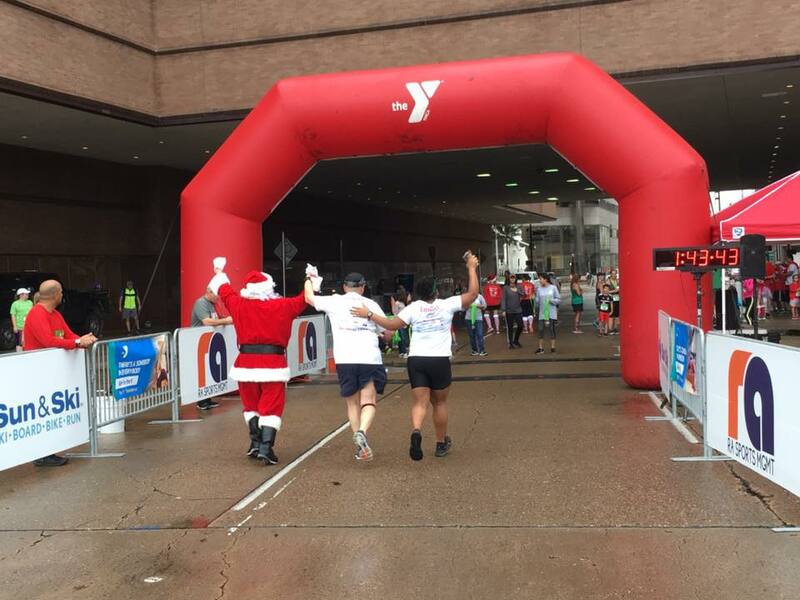 It was such an honor to complete this race with him! I’ve been praying for his full recovery and I will continue to pray that God will continue to be with him in his journey of healing. We all have been wearing our #TeamBreton hats this season and we have been blessed to have Todd encouraging us through each training run and race. Be sure to Like Breton Travels and to follow them on Twitter as well! Santa, Todd and I at the finish. 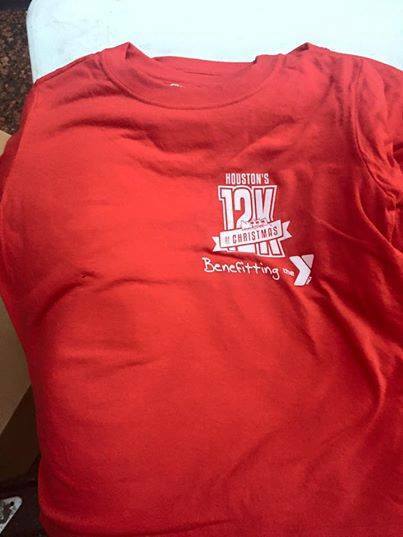 I enjoy the 12K course each year. I love running downtown! The 12K is a fun theme race so the costumes you see are pretty awesome. 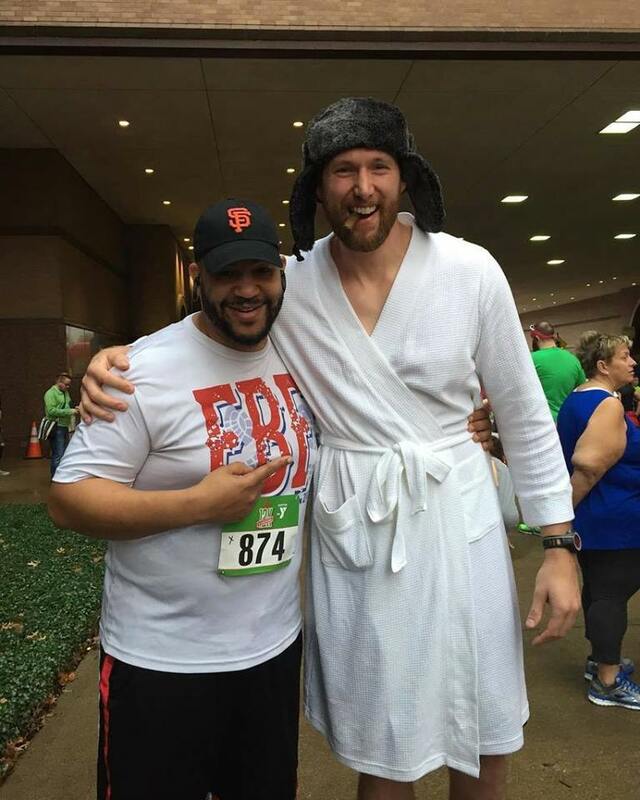 I can tell you our favorite this year was Cousin Eddie from Christmas Vacation. And look how tall this guy is! The race shirts keep getting better every time. This year it is all red with the logo and sponsors of course but it is so incredibly soft and comfortable! I wore it with a green cardigan and jeans and it was the cutest holiday outfit (hello Pinterest!). I’m all about a race shirt, especially when I can wear it over and over again after the race. 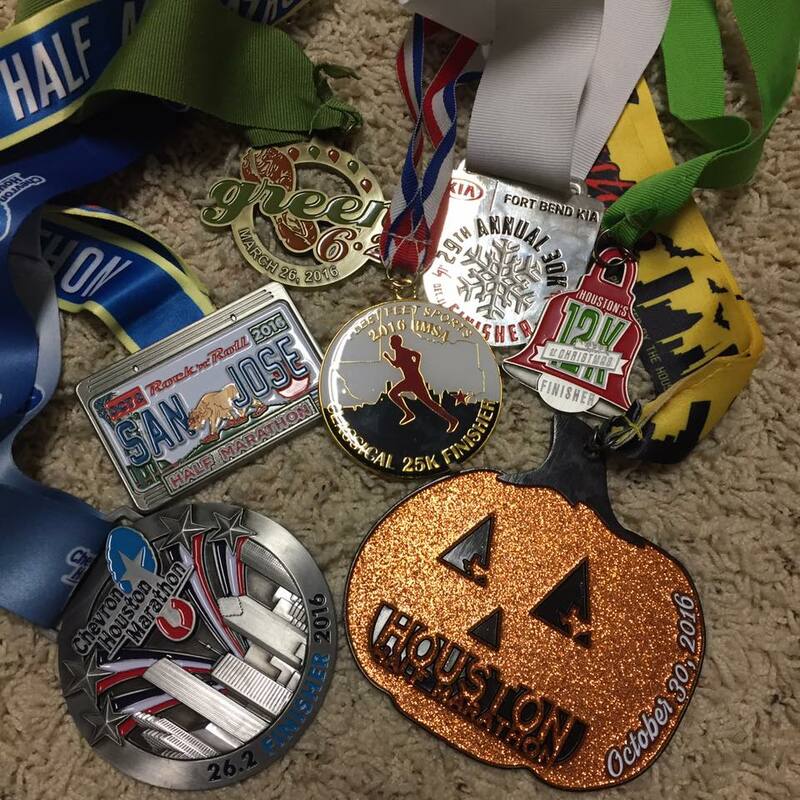 2016 in race medals. Blessed year! 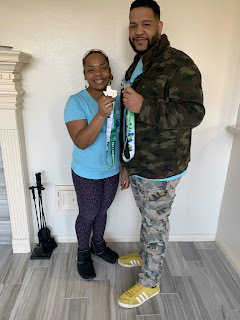 I started the year with the Chevron Houston Marathon, then I ran a 10K (Green 6.2) then I ran the San Jose Rock'n'Roll Half Marathon in Cali, then I ran the Houston Half, the 25K, the 30K and the 12K this past Saturday. I'm thankful to God for health, to Zeke for paying for all of this and for running 3 of these races with me.